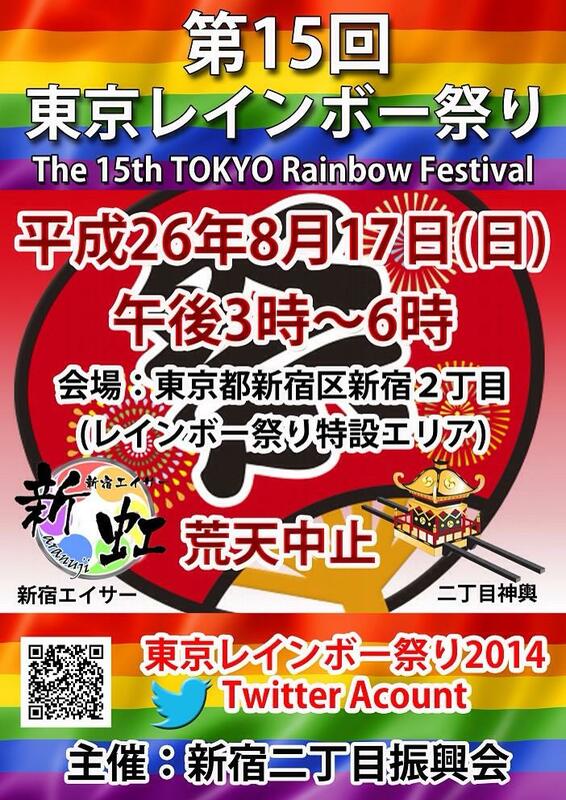 This year’s Rainbow Festival is Sunday, August 17 between 3 pm and 6 pm. I’ll try to wear my yukata. 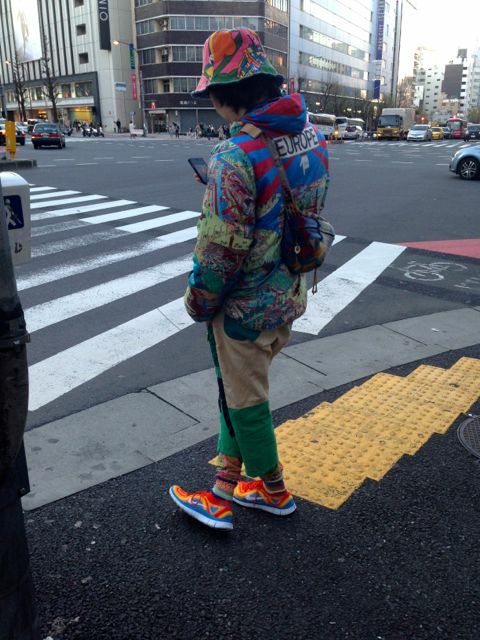 This psychedelia is both retro and futuristic. Love it! In Nichome. Fan is best for summer heat. So is wearing yukata. 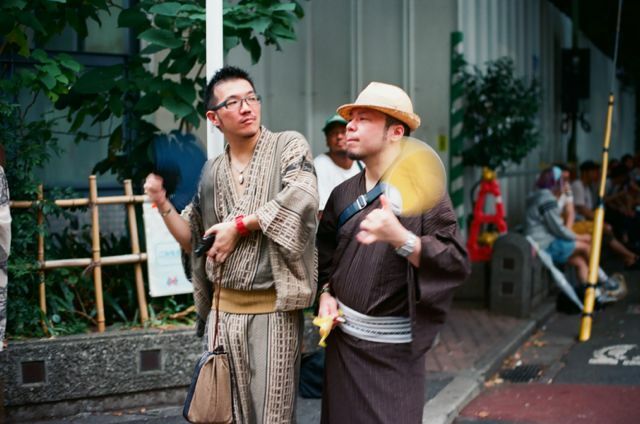 What a cute and stylish couple at the Nichome summer Rainbow matsuri. Why is this big bear covered in foam? I like how the guy in the blue t-shirt and glasses is leading the muscle tiger by the tail. Fur must be hot in the summer. Fortunately, there’s not so much of it. The shrine looks suspiciously light, but in the August heat the guys were still sweating. 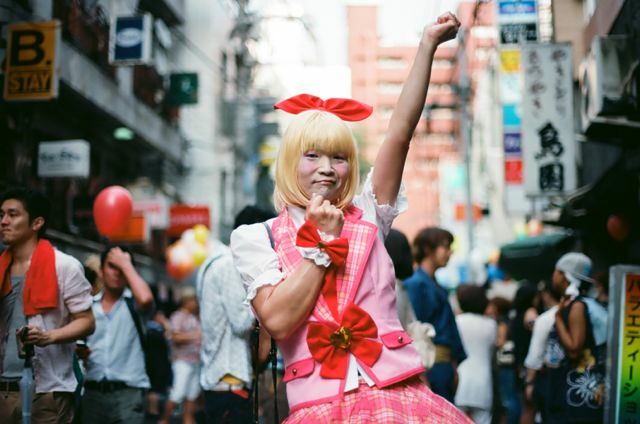 My favorite photo from this summer’s Nichome Rainbow matsuri. 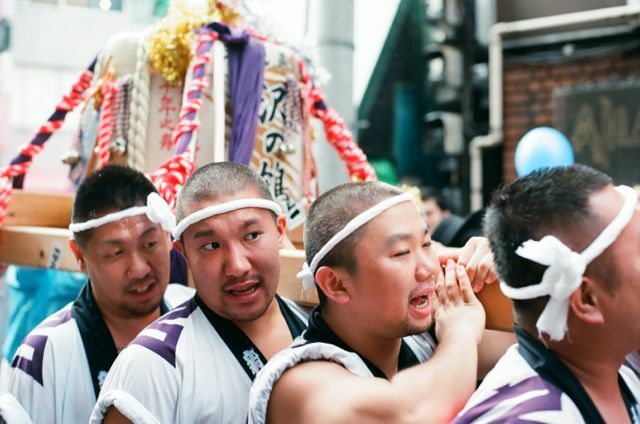 Because of thunder storms, the normally 3 hour festival was shorted. Still, plenty of beautiful people out in the street. I love this girl’s costume and attitude.